The New Mexico Center for Therapeutic Riding hosted the 5th annual Golf Tournament and it was a fantastic fundraising event! 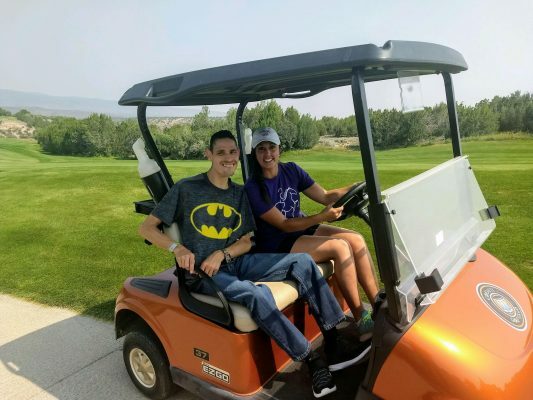 The Golf Tournament was held Sunday, August 19th at Cochiti Golf Club. The 18 hole tournament was a best ball scramble game with the opportunity to purchase mulligans and increase your chance of winning. There were several hole-in-one prizes, men and women longest drive contests, straightest drive contests, and much much more! The mulligan tickets were entered in a raffle and the winners of the raffle won a HD camera, foursome to several golf clubs, and $500 gift certificates to Capitol Ford service/tire center. The day had beautiful weather, competitive golfers, and a lot of fun. Thank you to all our sponsors, donors and golfer!